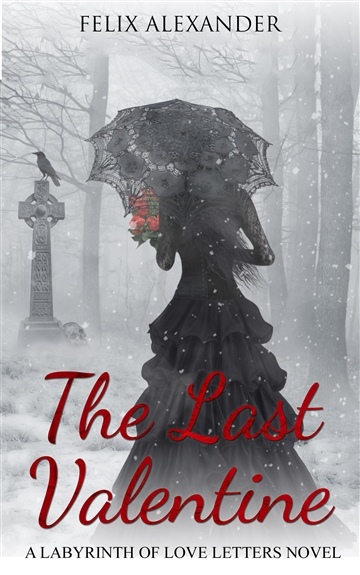 The Last Valentine is a love story about many loves interwoven by fate to echo across time. Bound by a love letter that becomes the thread that unravels more than one secret love. When Olivia Villalobos finds a bloodstained love letter she endeavors to deliver it before Chief Inspector Sedeño finds it in her possession. A city along the southern coast of Puerto Rico emerges in the aftermath of the Spanish-American War. Olivia, daughter of a drunkard police investigator who never knew the truth behind her mother’s disappearance, finds a bloodstained love letter in the hidden compartment of her father’s coat. Convinced it belonged to the man recently found dead she sets out to deliver it to the Labyrinth of Love Letters. A mysterious place believed to be an urban legend where the transients of forbidden love leave missives for one another. She enlists the help of Isaac Quintero to find the Labyrinth and they soon realize their quest has opened the door into Old Sienna’s darkest secrets—the perils, madness and depth of tragic love. Felix Alexander (1976-Present) is a Mexican-born, American-raised novelist and poet of Mexican and Puerto Rican descent.Acclaimed by readers for his poetic prose, his indie releases include: Dear Love: Diary of a Man's Desire, a collection of love letters and poems; The Romantic: A Love Story; an epic historical fantasy Shadows of Time: The Amulet of Alamin; a mystery-thriller The Secret of Heaven; and most recently The Last Valentine (A Labyrinth of Love Letters novel)Being third-generation military, after a grandfather and uncle who served in the Korean War and Vietnam War, respectively, Alexander is proud of his service in the U.S. Army and grateful for his experience.After his honorable discharge from the U.S. Army, his third year served in South Korea, he embarked on the long and arduous journey of a writer.Having made a name for himself during his tenure serving his country, he vowed to himself and his fellow soldiers that he would answer his true calling.When not spending time with his children, a son and daughter, he journeys through the portals in his extensive, personal library. When he returns, he immerses himself in his writing, and pursues the scent of his muse. 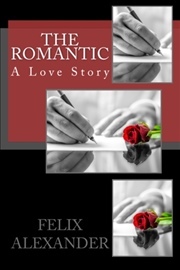 Felix Alexander is either a man who knows love, and knows it deeply, or he is a man the heart should fear. His ability to put love into words is nothing short of swoon-worthy, and will melt the heart of anyone who has known love, has lost love, or has been to the depths of suffering only to find the light of love lifting them up again. The Last Valentine takes murder and politics in a new direction, infusing it with the realities of romance. 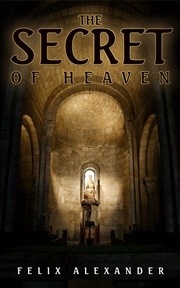 In the aftermath of the Spanish-American war, Puerto Rican friends Olivia and Isaac take off on a search for the Labyrinth of Love Letters, a safe haven for forbidden lovers that has been lost to legend. Olivia and Isaac fancy themselves Sherlock Holmes out to fulfill the last desire of a mysterious man whose murder will turn their little town of Old Sienna upside down...or right-side up. They get in over their heads as their good intentions find them in a web of lies, love, secrets, betrayals, mystery, and murder. Will the web catch them in its snare, or will the truth finally be unveiled? The story is filled with one beautiful, relatable quote after another. The murder mystery isn't much of a mystery as you start getting answers early on; however, the story is a puzzle that only gets solved piece by piece. It's a great plot that is enjoyable to follow along with. The Last Valentine is told from the points of view of nearly every relevant character, but somehow manages to do it flawlessly, which I tend to find a rarity. The writing style is dreamy yet realistic, the emotions are relatable, and the plot is fascinating to unfold. 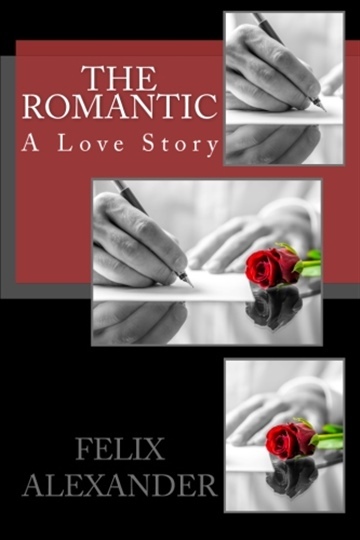 I would hands-down read more from Felix Alexander for his superb writing style alone, it is one I would most definitely recommend to any lovers of love.